WHAT'S YOUR FAVE BEAUTY DISCOVERY OF 2015? New, old favourite re-discovered, or that stuff you always meant to try? 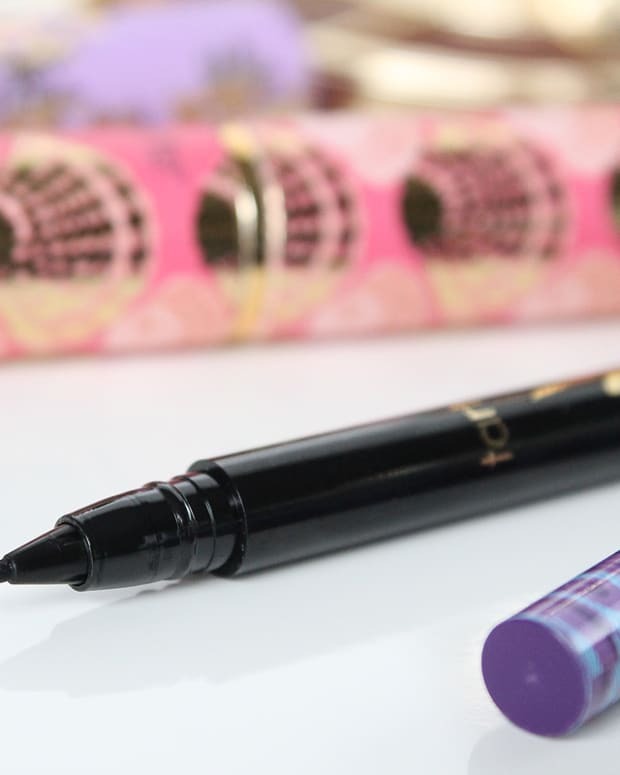 Three out of four of my fave beauty "discoveries" of 2015 – an Amaterasu brow pen is missing! Sometimes the Lipstick League questions make me crazy. This time the lovely ladies want you to name one of your favourite beauty discoveries of 2015. One. As if I can stop at just one. How&apos;s four? And of the four, one was a new launch worldwide, one was a new-to-Canada launch, and two I&apos;d been meaning to try for ages and now need to keep in multiples so I never run out. It&apos;s not in the opening post photo because I&apos;ve used my Amaterasu Liquid Brow Liner ($30 at beautymark.ca) up so completely that the tip is paper-dry and the label has long rubbed off from the outer tube. I first tried it when it was still called Geisha Ink Liquid Eyebrow Liner and I fell instantly in love; the image above is my favourite photograph of the two of us together. But catastrophe! I&apos;ve misplaced my new, back-up pen. Waaah! My brows have been tragic in the weeks without my Amaterasu brow pen; my order from beautymark.ca can&apos;t come fast enough. I&apos;ve been geeking out about the Laneige BB Cushion SPF 50 ($44 CAN at sephora.ca and $34 US at target.com) for months – it&apos;s so good – since the brand launched exclusively at Sephora in Canada. Rather than repeat, I&apos;ll just link to a previous I-love-Laneige-BB-Cushion post, shall I? 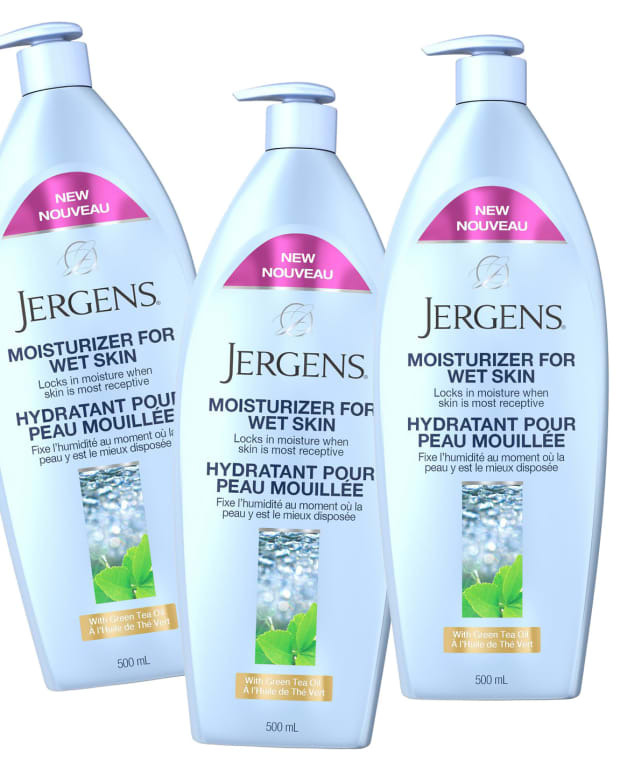 Jergens Wet Skin Moisturizer ($7.97 at walmart.ca and $6.99 US at target.com) has a permanent home on the corner of my bathtub. 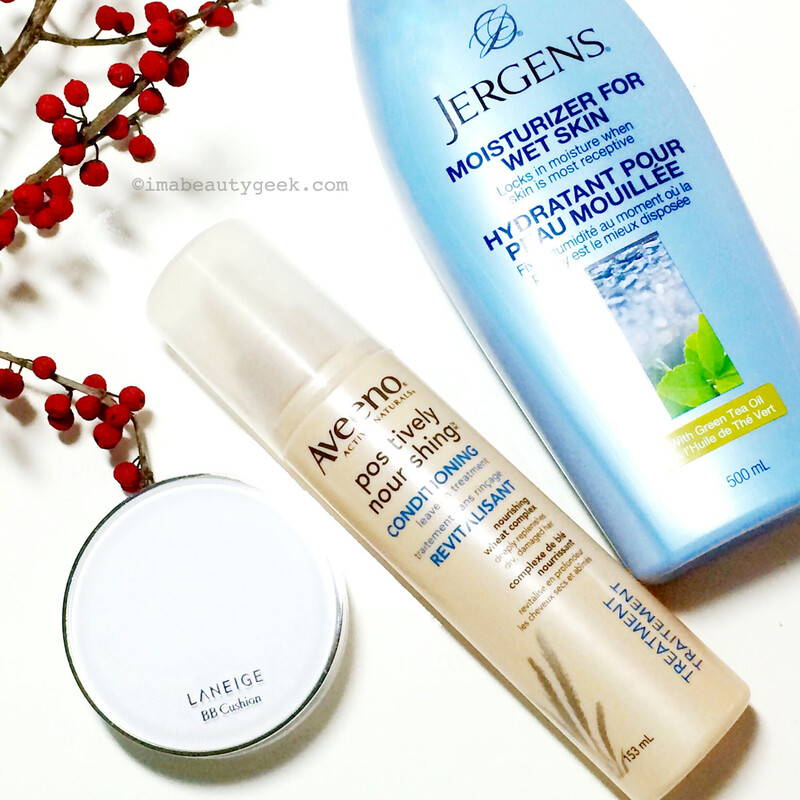 I&apos;ve geeked out about it before too – here&apos;s the Jergens Moisturizer for Wet Skin post I wrote months before its debut, and the Lipstick League post in which I confess to using it on dry skin, too. And you can bet I&apos;ll be layering it under body lotion this winter. My newest "discovery" is in the how-did-I-ever-live-without-it category: Aveeno Positively Nourishing Conditioning Leave-In Treatment ($5.97 at walmart.ca and $5.51 at amazon.com), which I&apos;d tried a couple of times forever ago and forgot about. This second go-around is a much better experience because I figured out it works best if I apply it before curl-enhancing mousse. Used that way, this Aveeno leave-in conditioner makes my hair so soft and helps my frizz become loose natural waves and curls as I let it air-dry. Adore. Re-upping tomorrow because I have just enough left for one more application. 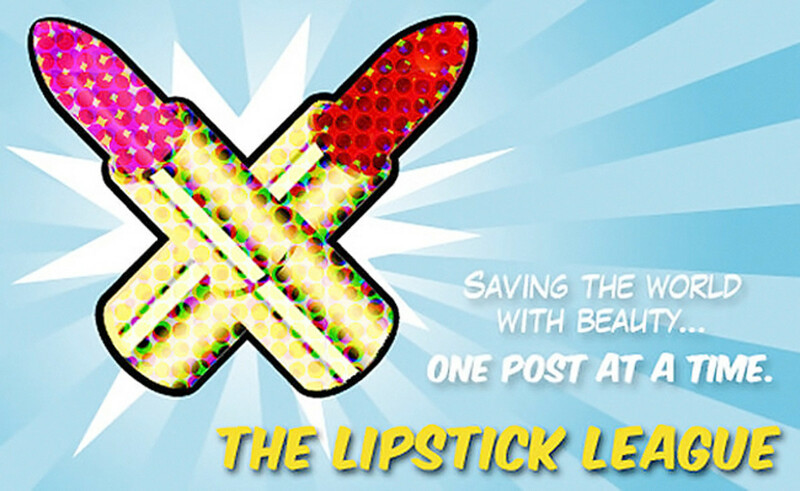 Now you: after the Lipstick League link-fest below, remember to tell us about your fave beauty discovery (or discoveries) for 2015! Clumps of Mascara Wanna smell pretty? I don’t! I can’t handle strong fragrances and I love when brands give us body care products that have gentle scents. Yessss. EauMG Every year Victoria puts together a holiday gift guide for her favorite people - freaks, goths, post-punk dames, vintage vamps, alt-chics. Here’s Victoria’s Holiday Gift Guide for anyone that leans towards a “darker” aesthetic. Gouldylox Reviews Everyone is talking about Wen and the lawsuits. Should you stop using Wen? Love for Lacquer The MAC x Ellie Goulding collection is a neutral lovers dream. Check out these gorgeous pieces! My Beauty Bunny Still have some names to cross off that holiday gift list? 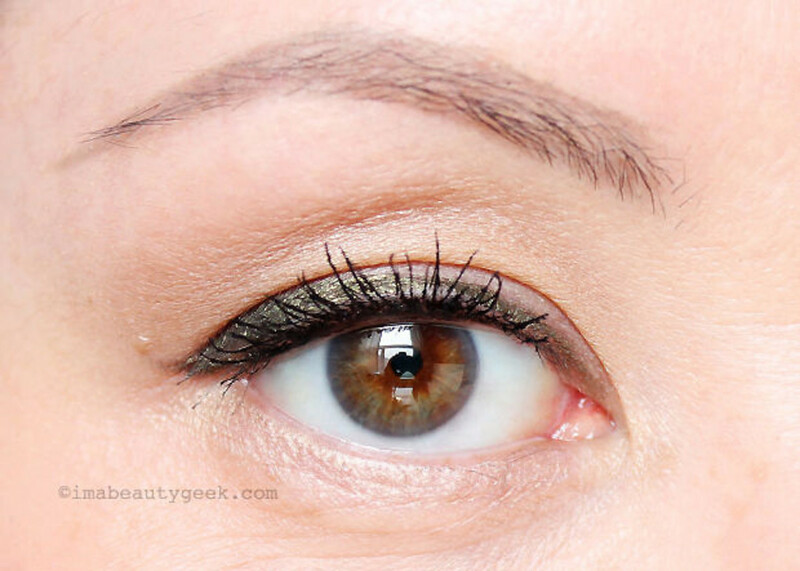 Check out our list of Must Have Cruelty Free Beauty Products for Women over 40. My Newest Addiction If you haven’t seen the MAC Faerie Whispers collection that will be released online December 23rd then you NEED to check out Laura’s post. She possibly gushes a little too much, but the entire collection is swoon-worthy so we will forgive her. Nouveau Cheap If you’re on the fence about the new Too Faced Chocolate Bon Bons Palette, hopefully G&apos;s review can help you make up your mind! Phyrra is having her biggest giveaway of the year with Urban Decay, Too Faced, OCC and more. Enter her Christmas 2015 Giveaway! Prime Beauty has a last minute stocking stuffer for the beauty addict--Neutrogena Nourishing Long Wear Eye Shadowin 3 colorways! Beautygeeks If you don’t know Canada’s super-hot St. Nick, you missing out. For real. Start with these 5 things about Fashion Santa, and go from there! Beauty Junkies Unite There are some gorgeous shades in the new OPI Starlight Collection! Check out Amber&apos;s review & swatches, you just might find one for your perfect holiday manicure. 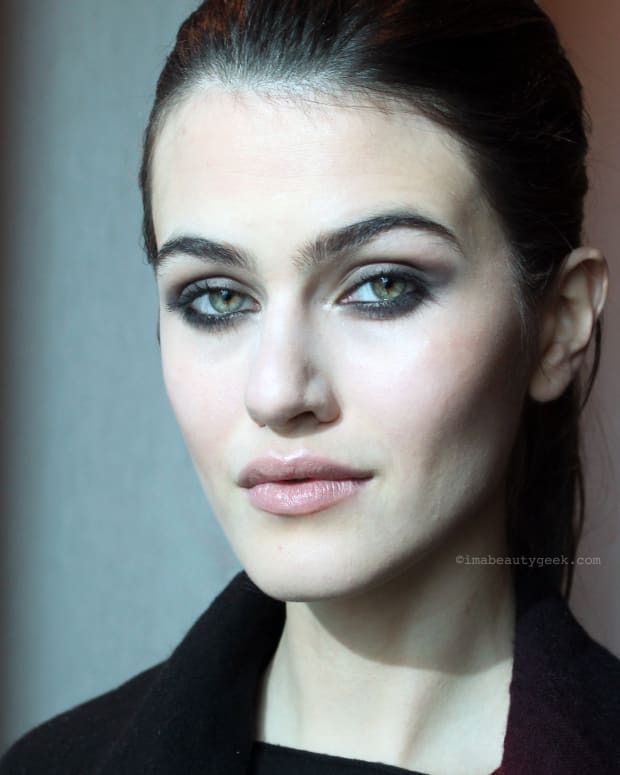 Blushing Noir The Top 10 Luxury beauty items from the Chanel Vamp Attitude Collection for Holiday 2015! Did your favourites make the cut? So, what&apos;s your fave beauty discovery (or four) of 2015? WHAT'S YOUR FAVE BEAUTY PICK RIGHT NOW? WHAT'S YOUR FAVOURITE BODY MOISTURIZER? BROW PENCIL, GEL OR POWDER? WHAT'S YOUR ARCH-ANGEL FAVE?